Let's make an arbitrary list of my favourite games of 2012. 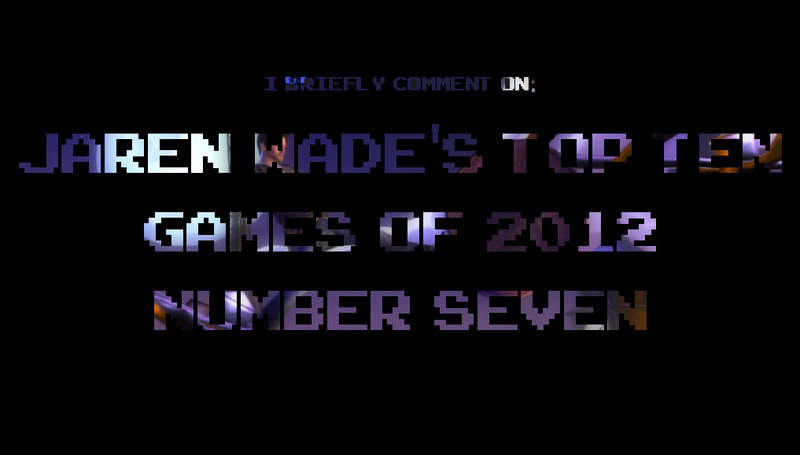 Here's number seven. You have to hand it to developers SuperBot Entertainment, considering the bumpy road they had to travel on prior to the release of PlayStation All-Stars Battle Royale. 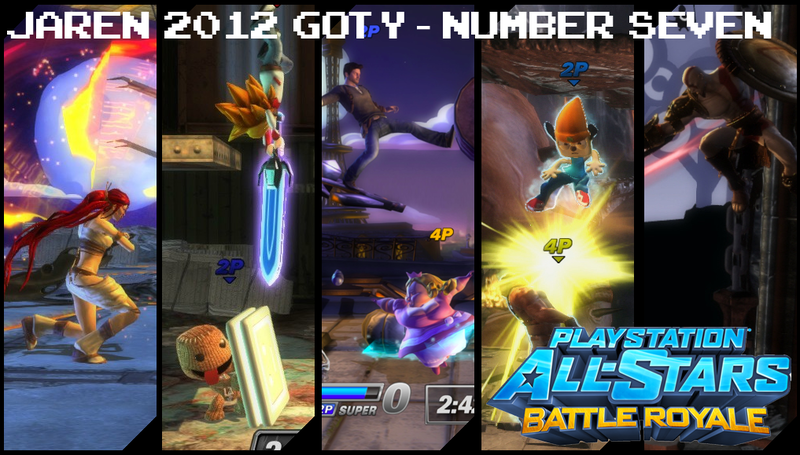 Gamers were skeptical about the scoring system; the roster leaked out months in advance; fans developed high character expectations and of course, the comparison to Nintendo’s very own party brawler. The odds certainly did not seem to be in the game’s favour. And yet, the end result was somewhat refreshing. Upon getting my hands on the game, I immediately appreciated the balance that PlayStation All-Stars struck between traditional fighter and party brawler. The variety is certainly there in terms of character tools and the different ways players can utilize them. Online matches became learning experiences because of this. I would witness players use my favourite characters in different ways, from longer combo strings to ranged keep away tactics. Every time I would take mental notes and try to incorporate these aspects into my own playstyle. It added an extra incentive to the whole "one more match" mentality. Not that I needed anymore incentive; I just found the gameplay to be the right amount of chaotic and a whole lot of fun. Of course, there exists the other side of the mash-up fighting game coin, and that’s how the game handles the mash-ups themselves. While I admit that the in game roster leaves a lot to be desired, it still offers a decent selection of characters. Each era of the PlayStation brand’s life is represented in some way, whether it is through the characters, items or stages. Seeing it all come together made me realize how rich the PlayStation history is, while also keeping me hopeful for future additions from their catalogue. There’s a lot that can be done with Playstation All-Stars and I do hope that the battle rages on.